Oil- it's the most important item to service. Without it nothing else matters. It's very basic but you wouldn't believe how many repairs are performed because the oil was not replaced regularly. Why do you need to replace your oil? Oil gets contaminated with metal shavings, dust, antifreeze as these contaminants whip around your engine sludge starts to build up and sludge starts to stick to parts of the engine preventing proper lubrication and you start to see premature wear to engine components. 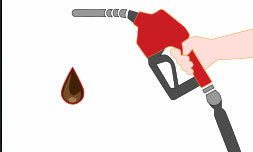 Replacing your oil is a very important and a cost effective way to keep your engine running at peak performance. 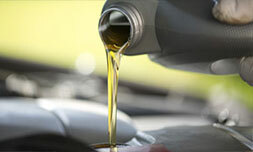 You should replace your oil every 3,000 - 5,000 miles, whatever is recommended by your owner's manual. 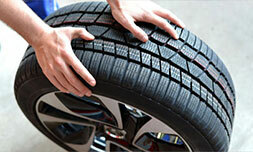 Tires - Proper tire pressure is one of the most neglected maintenance items. It is the most affordable and easiest to address but most people neglect this. The tire pressure should be between 34-44 psi. Just look at the sticker on the inside of the driver's door to tell you the proper pressure for your vehicle. 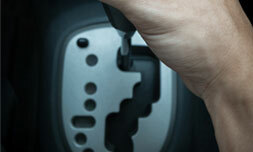 Driving your vehicle with proper tire pressure will give the tires the longest life possible. It will also give the vehicle the best and smoothest ride. Under or Over inflated tires will cause the tires to wear prematurely because the tire is not riding on the road properly. The inside or outside of the tire touches the road causing the tires to wear early. Tires can be costly to replace. Having proper tire pressure helps get the most life out of your tires. 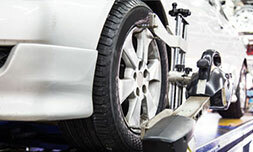 Rotating your tires is the also a very affordable way to ensure you maximize your tire life. This should be performed every 6,000-7,500 miles, just follow your owner's manual. Alignment - To maximize the life of your tires you want to align your vehicles suspension when installing new tires or whenever there is uneven wear on your tires or if the vehicle is pulling to one direction or the other. When you rotate your tires with us we will look for the wear pattern of your tires and if it is caught in a timely manner a alignment can be performed before it causes to much abnormal wear to your tires, saving your tires from having to be replaced earlier than they should be. Air filter - you air filter captures airborne containments. 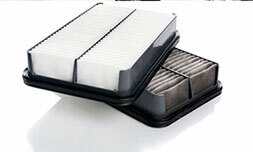 There is thousands of gallons of air that goes through your air filter a day. You want to make sure that the air filter is replaced on a regular basis so that it doesn't get plugged disrupting the flow of air to your engine. 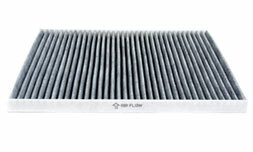 Cabin Filter - This filter is not to be confused with a engine air filter. This filter removes contaminants such as dust, pollen, mold spores, and other small particles from the air going through the cars ventilation (heating and Ac vents). The majority of models have these filters in the dash behind the glove box area. This help keeps the air more healthy, especially for people with allergies and other conditions. To keep the air quality at it best follow your owner's manual on the replacement of this filter which is typically once a year or more if you drive in a industrial or a very dusty area. Transmission fluid - Transmission fluid keeps the moving parts of your engine lubricated keeping the friction to a minimum. It is critical to keep your transmission filled with clean fluid and topped off to prevent costly repairs down the road. Gas saving tips - monitor tires: under inflated tires and poor wheel alignment waste fuel by causing the engine to work harder. Engine tuned up - keep your base idle set to the proper rpm and keep your engine filter up to date, replace it once it gets dirty.